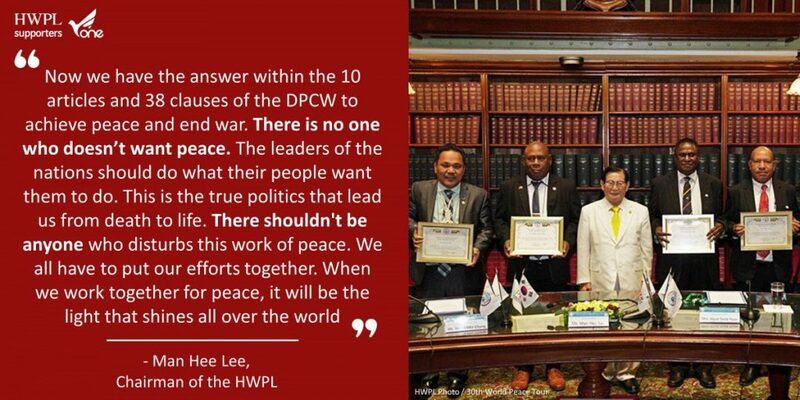 Chairman Lee is providing a clear solution to current conflicts. World leaders who doesn’t accept it are exposing their desire for war. I hope the DPCW will be enacted and implemented as quickly as possible.